Like the rest of my generation, I’ve been thinking a lot lately about living and working in a meaningful way. Much is written about Gen X and the ‘different kind of mid life’ experience we are having. The baby boomers transformed what it means to age; our generation grew up in their shadow and began our lives with this new world order as our reality. It is an oft written about phenomena that many of us, upon reaching mid life, are opting for more meaning in our careers and lives rather than a sports car or a new husband. That line of thinking was part of the genesis of ArCompany, and for the Social Justice series. Two weeks ago we decided to pivot the series to focus on companies doing social good and highlight their uses of social media. In our first post we covered The Hershey Company, a giant of American Brands whose very foundation feeds the philanthropic school set up by its founder. This week it is our pleasure to turn our attention to a less well known brand that is growing rapidly due to a combination of its great product and price point, clever marketing and the social good that it does with each sale. The industry is controlled by a few large companies that have kept prices artificially high, reaping huge profits from consumers who have no other options. By circumventing traditional channels and engaging with customers directly through our website, Warby Parker is able to provide higher-quality, better-looking prescription eye wear at a fraction of the price. Part of our mission at ArCompany has always been to help companies use the power of social media intelligence to disrupt industries that have traditionally been run by a few titans with a stranglehold on distribution channels. Neil Blumenthal, Andrew Hunt, Jeffery Raider and David Gilboa saw that very opportunity when they assessed the eyeglasses industry while students at The Wharton School of Business. Starting with a very big vision, the foursome’s company is a darling of the internet and their stylish eye wear can be purchased online and through showrooms. Not only is Warby Parker transforming an industry, its intention of doing good while doing business has come to fruition as well. Like Tom’s shoes, for every pair of glasses purchased one is given away to someone in need. Warby Parker has partnered with Vision Spring and is providing glasses for free worldwide. 90% of the world’s population in need of prescription eyeglasses are from the 3rd world. Vision Spring donates free glasses at schools, churches and community centers, and even has a mobile lab to rural areas to supply prescription lenses on the spot. They have also created an Entrepreneur program allowing people to make their living as Vision Entrepreneurs, local people who are trained to conduct screenings and do outreach for Vision Spring. The first thing a disruptive company needs to be willing to do is not play by the rules. Warby Parker exposed exactly how exorbitant profits were being made within the eyeglass industry. Right on their website’s How We Do It page they expose the many middlemen and escalating markups within the industry. Their ‘disruptive’ method is quite simple: Warby Parker creates its own designs and sells directly to the consumer. 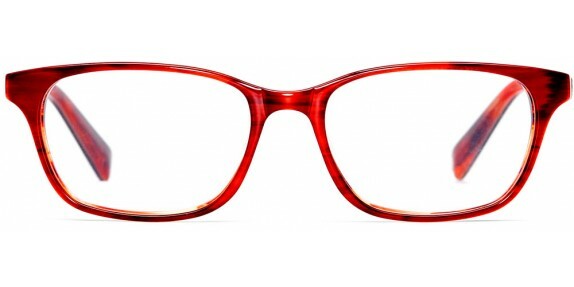 If you’re an eye glass wearer your first thought might be: How do I pick out glasses online? If you’re like me, finding the right pair can be a real pain. Warby Parker has made it simple: they allow you to order 5 pair to try on at home at no charge. Then, you pick the pair you want and order them – the rest you return and pay no shipping costs. Of course, you will need a prescription. The company also has a growing list of showrooms you can visit. Any company with social good as a cornerstone of its mission can reap the benefits of enthusiastic word of mouth marketing. Warby Parker has used a mix of search engine marketing, email marketing, and of course social media channels to bring exposure to its brand. Of course, it’s not the channels you use but the messages you distribute on those channels that matter, and Warby Clark has come up with some pretty clever marketing. 1. Encouraging customers who use their Try it at Home to post pictures of themselves wearing the glasses Facebook, Twitter and Instagram. The company even gives feedback and advice on these images. 2. Using You Tube to distribute clever and informative videos, and encouraging their fans to post their own videos. This video, associating Warby Parker with great literature, is one of my favorites. 3. Warby Parker is enthusiastically engaged on all of its platforms; check out their Twitter profile and you will be hard pressed to find a tweet not responded to. 4. The company Facebook Page is full of interesting visuals and again, most posts by others are responded to and welcomed. Don’t view social media as just another way to push your marketing messaging,” Gilboa advises. “Think of Facebook, Instagram and Twitter as critical customer service gateways and take the time to respond to each and every customer who reaches out to you there. Each comment, photo and tweet gives you an opening to directly communicate with them on a meaningful, personalized basis that encourages brand loyalty. Warby Parker was established in 2010; last Summer, the company hit a milestone – to date it has given away 500,000 pairs of glasses. Vision Spring tells us that people are 35% more productive when their vision is corrected, and that glasses can increase income by up to 20%. So ponder for a moment what half a million glasses have done to better the lives of the recipients. Think about this fact: eye glasses have been around for 800 years. Warby Parker has managed to impact a very old industry in a few short years by using very new technology, a big vision, and a positive cause to build a brand that is so likeable it is spreading contagiously. Just consider what is possible when smart people get together and decide to disrupt a traditional industry and do good simultaneously. Technology is on the side of the disruptors; this is where the social conversation can be truly powerful. It is now possible to listen to and analyze data across the social sphere to understand just where the true opportunity is within your targeted industry. There is no reason that the Warby Parker story can’t be repeated again and again by savvy companies willing to upend existing distribution channels with better products. If that description fits you, we’d like to talk, because we can help. Very interesting, never heard of Warby Parker before today but I am quite intrigued now. Thanks for sharing this. As someone who tries desperately to look, seek and explore the vast positives I am one who appreciates the pivot. Good works stories usually attract less comment but those that do come are genuine, IMHO. Love the WP story, I am a customer. As for a “few,” price setters I would offer that really the monopoly belongs to Luxottica. Owning every glasses-related company as well as LensCrafters, Pearle Vision, Sunglass Hut, Sears and Target optical. They set the price! With their record, I would no be surprised that hear the acquisition of WP. I certainly hope not! Great post. Love Warby Parker and its biz model. agreed, such a fresh perspective to the usually stale corporate air. Joshua Wilner/A Writer Writes Likewise, mate – love their approach, and thanks to amymcctobin for bringing them to everyone’s attention. Joshua Wilner/A Writer Writes Thanks for checking in. I’d heard of them vaguely but when I started searching for companies doing good and using social media to do so, I really fell in love with them. And they’re cool looking glasses to boot. Glad we can bring attention to such a cool company. And I’m fascinated by the possibilities if other tech savvy people take aim at old industries. AmyMccTobin They look like it. If I still wore glasses I would definitely use them, might see if there is anything for my son. And let’s hear it for Generation X.
TOMS shoes might provide another case study to check out. Joshua Wilner/A Writer Writes AmyMccTobin TOMS are awesome! For their “Boomer” line Amy? The one I remember had Lorne Green and Dirk Benedict circa ’78…Vintage = Classic, yup! jkcallas Good morning Mr. Legend. Want to catch up later? AmyMccTobin Thanks again for sharing this piece, Amy – we really appreciate the support! ThinDifference Thanks so much for sharing this piece, Jon – we’re glad you enjoyed it! WarbyParker No problem – I wish I could write about companies like yours every week. jkcallas We’re so glad you enjoyed AmyMccTobin’s post! Thanks very much for sharing. We really appreciate it! ArCIntel Thanks so much for your kind words. We really appreciate your support! kmueller62 Thanks for sharing this piece, Ken – we’re glad you enjoyed it! Scott_Solter Thanks for sharing this post, Scott – we’re glad you enjoyed it! susancellura We’re glad you enjoyed this post, Susan – thanks so much for sharing! 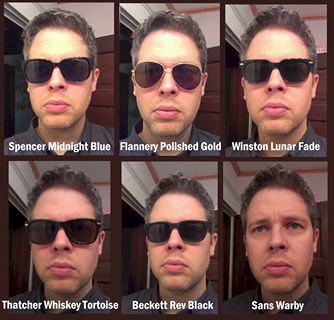 WarbyParkerHelp I did. I am a big fan of your company and products. Thank you for all you do! bowden2bowden Thanks so much for sharing this piece – we’re glad you enjoyed it! Soulati Thanks so much for sharing this piece! We really appreciate it. loiscreamer Thanks for sharing, Lois! We really appreciate it. samfiorella Thanks so much for sharing this post, Sam! We’re glad you enjoyed it. AmyMccTobin Thanks for sharing, Amy! We really appreciate it. WarbyParkerHelp No prob. We are beginning a new series on Social Super Heroes at ArCIntel and would like to interview someone at WP. AmyMccTobin That’s so cool! Email us at twitter@warbyparker.com, and we’ll get your message to the right person! I’m a fan! RT WarbyParkerHelp: loiscreamer Thanks for sharing, Lois! We really appreciate it.